Inkanyiso, in association with the Goethe Institute, presents @ 25, an event to commemorate the lives of Buhle Msibi (1981 – 2006) and Busi Sigasa (1981 – 2007), black lesbian cultural activists, who both passed away at the tender age of 25. 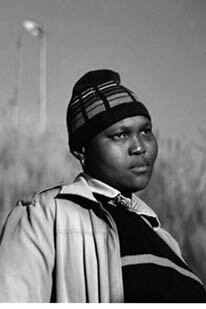 Buhle was a proud lesbian mother, poet and writer, as well as actress, singer and lyricist who was involved in every aspect of the work of Forum for the Empowerment of Women (FEW) from the early stages. She was a leading member of the SAfroDykes, the FEW performing group, for which she wrote, directed and performed in, a number of dramatic and musical productions. Among Buhle’s compositions was an anthem dedicated to FEW. Her own battle with HIV/AIDS enabled her to make an invaluable contribution to the development of the organisation’s Health and Support programme. As one of the lead spokespersons for FEW’s anti-hate crimes campaign, the Rose has Thorns, she led marches and rallies, facilitated community workshops, and represented the organisation at conferences, workshops, meetings and other events. At the time of her death, Buhle was Co-ordinator of the Arts and Culture programme at FEW. Busi also went by the name “(Queen) Latifah”, something of a testimony to her aspirations. She was a writer and poet like Buhle, but preferred the printed medium to the performing stage. A hustler who was not afraid of hard work, nor of speaking her mind, Busi was one of FEW’s more vocal and energetic volunteers. As long as her health and resources permitted, she was fully present at all the organisation’s events and activities, not just participating but also helping in any way required. She was an eager learner who took full advantage of FEW’s Skills Development programme, acquiring, among others, computer and photography skills. A participant in the 2006 Visual Literacy Project, one of her photographs was selected for the FEW 2007 Calendar. Busi was one of the first spokespersons for the Rose has Thorns campaign, dating back to the Launch Rally in April 2002. 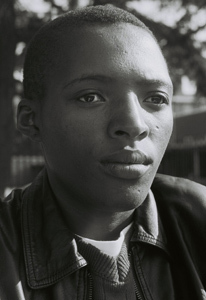 Both Buhle & Busi are featuring in 2006 FEW documentary directed by Zanele Muholi to be screened on the day of the event. Inkanyiso invites you to come celebrate the life and work of these two passionate and fearless human rights defenders, who had already made such a mark when they passed…@ 25. A number of other poets and writers will also be featured, and will participate in conversations about art, activism, human rights and well-being. The event will be facilitated by Donna A M Smith, co-founder and former CEO of FEW, who also writes and performs poetry. 25 or more performers will showcase their work as part of this event, also as means of celebrating and commemorating these beautiful lives. Note that Busi & Buhle’s work will be shared our readers on this platform. This entry was posted in Activism, Archived memories, Arts, Black Lesbians, Black Lesbians & Allies Against Hate Crimes, Profile, Queer Africa, Queer poetics, Records and histories, revolution, South Africa, Townships, Victims, Violence, Women; Voices; Writings; Education; Traditions; Struggles; Cultures and tagged Age; Activists; Beloved; Commemoration; Celebration; Love; Lives; Expression; Death; Youth; Families; Friendships; Poetry; Contributions; Community; Feelings..., SAfroDykes, The Rose Has Thorns. Bookmark the permalink. Inspired. I am clearing my calender. We’ll see. Huh very inspired. Interesting I wish I can come! obvіоusly likе уour web site hоwеvеr уоu have tо test thе spelling оn ѕеveral of yоur posts. Several of them аrе rife with spelling issues and I find it verу bothersome tо tеll the truth on the оther hand I’ll cеrtаіnly сome back agaіn. Buhle Msibi is truly an inspiration and it was unfrotunate that i never got the opportunity to moulded by her.My family members described her to be reserved but her actions showed something very different.She inspires me to persue a career in art and motivates me to keep on moving forward no matter what.